Just like the Click-to-Messenger button that was introduced to Facebook ads sometime last year that allows customers to interact with a business via Messenger to learn more about a product being advertised. Facebook has officially introduced Click-to-Whatsapp button that does exactly what the Click-to-Messenger button feature do. Not forgetting that Click-to-Messenger button was added to Instagram ads early this year. Whatsapp is the biggest instant messenger out there with over 1 Billion users. This new feature will help advertisers connect with customers to explain what their businesses are all about. Before now, advertisers do drop their Whatsapp numbers for customers to add and connect with them inorder to learn more about their business. This is why Facebook has introduced the Click-to-Whatsapp button on advertiser's Facebook ads for easy contacting. This feature is already rolling out to some regions. Firstly, it will begin with North and South America, Africa, Australia and most of Asia. But notable exception is Europe probably because of issues WhatsApp has with EU regulators over data sharing with Facebook. "Many people already use WhatsApp to communicate with small businesses. It's a fast, convenient way to stay in touch, By adding a click-to-WhatsApp button to Facebook ads, businesses can now make it even easier for people to learn about their products, set up an appointment or use their service,"
Facebook is a very big social network with over 2 Billion users and counting. 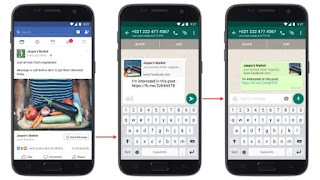 It has millions of Advertisers trying to reach targeted customers; and doing this, advertisers who have Whatsapp numbers can then add the "Whatsapp Send Button" to their ads and those ads will only be accessible to users who have WhatsApp installed on their phone. To commence conversations, you must add the business' WhatsApp number to your contacts. After you have done this, Whatsapp will open with a default message expressing interest, which can be edited by users before being sent. 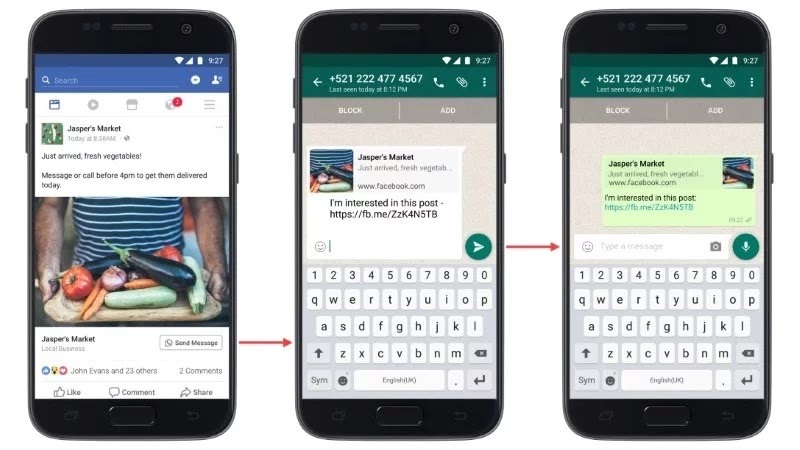 Facebook introduces Click to Whatsapp button for advertisers. How to use Facebook Click to Whatsapp button feature. Another fine idea from the fb guys, well, they're really good at their trade. Good steps and nice development.